We just hit a milestone for the Friday the 13th franchise. Ten years ago, Platinum Dunes released the Friday the 13th remake, which condensed the first three fils in the original series into one terrifying tale of Jason’s revenge against those reckless fools who trespass in Crystal Lake. 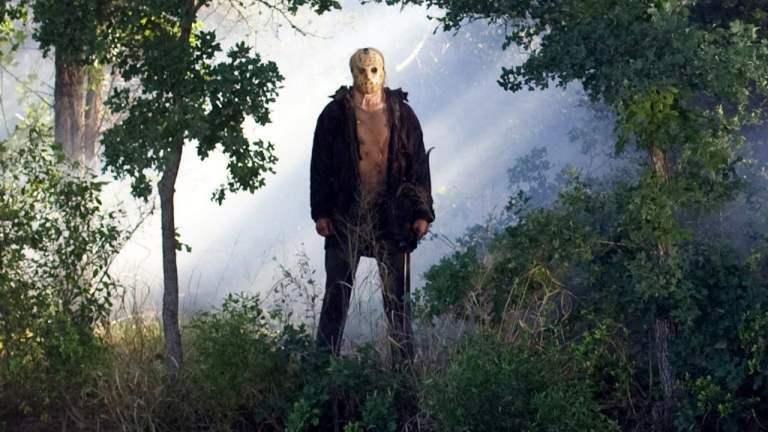 To commemorate the event, Michael White at Bloody Disgusting released an article entitled 10 Years Without Jason, Can We Now Admit ‘Friday the 13th’ 2009 Was Damn Good? By 2009 we didn’t need a sequel, and if anybody wanted one, which film is the desired predecessor? That’s kind of the beauty of the franchise—there’s no one iconic film. Rather, the reboot has the freedom to take elements of the first four entries and remix them into the latest episode in the series. The fact that we’re reminded of Pamela’s death as briefly as possible is actually beneficial to the ‘09 film. As the film opens, we see a brief bit of expository world-building. Anyone new to the franchise is immediately caught up to speed. Veteran fans are reminded of Jason’s origin, and the contemporary timeline is explicitly established. At this point, any hint of continuity is eschewed in favor of several novel moments of suspense, titillation, and gore. As you can imagine, there’s some hot takes on this article. The remake has always been controversial, as are all remakes that have come out from the Platinum Dunes studios of the mid-2000s. People didn’t like the writing, nor did they like some of the changes to Jason’s character. My own take is more apathetic. I think Derek Mears might be the best Jason ever, but the movie is too glossy and the writing has a mean, stupid streak to it. I still rewatch it from time to time, though. I’m still looking forward to the next big screen appearance of our favorite movie monster. In the meantime, there’s always Never Hike Alone.